The Spanish word for bread is “pan”. “Empanar” is a verb form that means “to bread”. Emapanada is the past-participle, “breaded”. It’s basically a single-serving turnover. It can be filled with sweet foods like fruits, sugars, and syrups, or savory foods like meats, cheeses, and oils. They originated in northwest Spain, in a region known as Galicia. Today they are most popular in Spanish-speaking countries across Europe and South America. Originally they were made with bread dough, but now they are made with pastries as well. The bolani is an Afghan variant of the empanada. Bolanis are flatbreads stuffed with vegetables such as spinach or potato. They are served in the evenings during the Muslim feast of Ramadan as well as at other times. Bolivian empanadas are made with beef, pork, or chicken, and usually contain potatoes, peas and carrots, as well as a hard-boiled egg, an olive, or raisins. 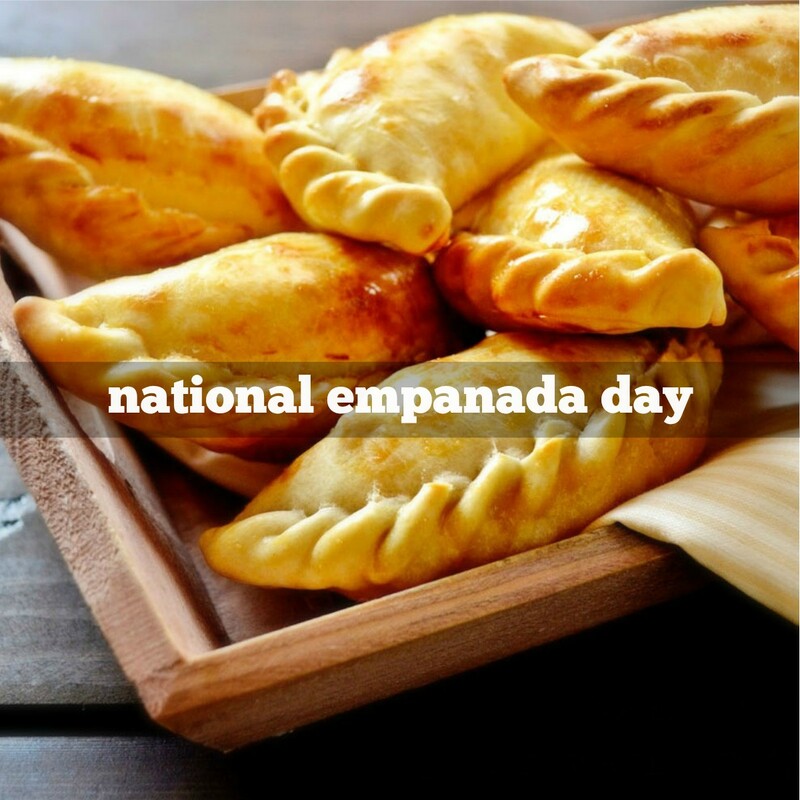 They are called salteñas and are moon-shaped pouches of dough customarily seamed along the top of the pastry. Empanadas are known as panada or pastel in Indonesia. The panada, has thick crust made of fried bread, giving it bread texture and is filled with spicy tuna and chili peppers. The pastel has thin crust and a fillings typically made of finely diced potatoes, carrot, green onions, chicken, garlic, and glass noodles. 1513 Ponce de Leon landed in Florida while searching for the Fountain of Youth. He thought it was just another island of the Bahamas. 1862 John D. Lynde of Philadelphia patented the first aerosol dispenser. 1873 Alfred Paraf received a patent for the first commercially viable margarine manufacturing process. 1879 The Echo Farms Dairy of New York began selling milk in glass bottles, the first in the U.S.
1946 ‘Catfish’ Hunter, baseball pitcher, was born. 1992 R.I.P. Benjamin Eisenstadt. He invented the artificial sweetener, ‘Sweet ‘n Low’ (granulated saccharin and dextrose). You forgot to mention the Philippines😉. They adopted the Empanada from the Spanish.